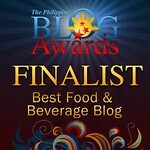 THE PICKIEST EATER IN THE WORLD: BLOGOPOLIS 2013 : INTO THE WILD! This year, we are taking you to the Information Jungle. With the surge of social media, and other online platforms, we want to help you make sense of the digital world. Key speakers will be discussing social media know-how and digital marketing and advertising trends. Blogopolis 2013 is a day-long event starting with plenary sessions in the afternoon, and a post-conference party at night where key influencers in the industry will be awarded. This event is open to everyone - bloggers, social media influencers, students, digital marketing officers, and advertisers, and anyone who is interested in the world of digital, particularly social media. Nuffnang will also hold its first Nuffie Awards to recognize the contributions of selected online influencers. g. Facundo & Filomena – Anyare? Blogopolis 2013 is co-presented by Blink.